Moving out of your parents’ house as you enter college or university is probably one of the biggest steps you’ll take in your young adult life. While shifting in with your college or university mates may mean being able to do what you want, your newfound freedom comes with a new set of responsibilities, such as dealing with problematic housemates! Living with friends or acquaintances mean different personalities living under one roof, which can fuel tension and conflict, making life in your new household more challenging than you can imagine. If you’re currently dealing with taxing personalities in your new home, it’s time to take matters into your own hands! In this article, we identify the 7 annoying housemates you’ll likely encounter and how to deal with them. Does your housemate refuse to take out the trash, even if it’s full? There’s a name for people like that, and it’s called the “Jenga” expert. From banana peels to pizza crusts, he or she will be playing “Jenga – Garbage Edition” each time the rubbish bin is full, carefully adding trash into the bin without causing spillage. It doesn’t help that this attracts flies, maggots and ants to make a beeline for the uncollected rubbish, leaving someone else (i.e. you) to admit defeat, compress the garbage and take it out. Pro Tip: Have a housemate meeting and suggest a duty roster. However, the trick is to keep a punishment jar each time someone fails to do their chores. Depending on how this pans out, you’ll either enjoy a cleaner house or a free lunch every week! We’ve all been there — after a long day and a good meal, you just want to sit back, relax and do the dishes later. No big deal. However, the “I’m letting it soak” housemate’s definition of later is pretty much never. Days go by and dirty dishes pile up in the sink, accumulating tonnes of bacteria, mould and grime. Conversely, a “considerate” version of the “I’m letting it soak” housemate is one who leaves the dishes or cup of coffee by the side of the sink, so that others can still wash their dishes and hands without obstruction. This isn’t any less annoying, since they can attract ants and roaches. Pro Tip: This is a problem a duty roster can’t solve. You can stack up their dirty dishes and stick a note saying, “Please clean”. Alternatively, ask your housemate to get a deep plastic tray (about 12 cm deep) and fill it with soapy water. That way, they can place their dirty dishes there, and the soap will keep the fungus and smell at bay. We may hate untidy housemates with a vengeance but living with an overbearing neat freak is no walk in the park either. This housemate is the cleanest person you’ll ever meet. They’ll likely nag and impose their rule of constant cleanliness upon everyone, driving you and the rest of your housemates up the wall. While they won’t make you clean your room, the overbearing neat freak will implement their rules in the communal areas, particularly in the kitchen and the bathroom. 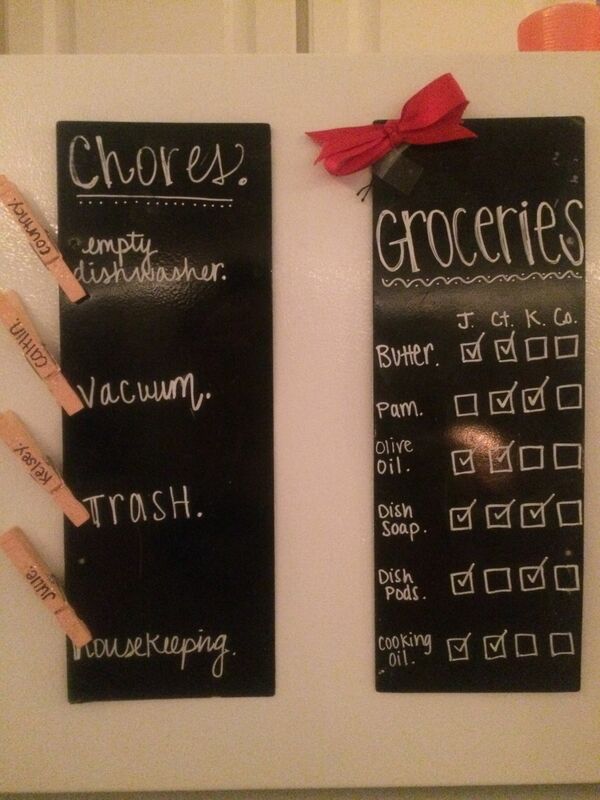 This person would have stuck a duty roster on the refrigerator door before you even saw the need for it. Despite that, this housemate will probably be your saviour when it comes to getting back your rent deposit. So, do your best to keep calm and follow their duty roster! Pro Tip: When dealing with such a housemate, try your best to do your part in keeping the house clean. After all, cleanliness is next to godliness. However, remember not to let their attitude get to you. Their bark is worse than their bite. This housemate is by far the worst kind. The nom-nom thief will raid the fridge and kitchen cabinets for food, and you can bet that you won’t see yours again. To this housemate, asking permission to have some of your ice cream or Maggi noodles never strikes them. They take what they want when they want. And the worst part? They’ll act nonchalant when confronted about their misdeed. Conversely, the defensive thief is no better. If confronted, they would deflect or get offended at your accusations that they had stolen your food. Pro Tip: Label your food with your name, or a sticky note that says “DO NOT TOUCH” if you’re bolder. If that doesn’t work, store your dry goods in an airtight container (to prevent ants or roaches) in your room. This housemate doesn’t understand the concept of boundaries — he or she may follow you around the house, wanting to do everything with you. They’ll start by hanging out in your room to having dinner at the same time as you. Then, they’ll want to know where you got that new shampoo, and if they could try it. Before you know it, they’ll be barging into your room without even knocking. However, familiarity breeds contempt. If you value your space, or even if you don’t, you’ll begin to miss what you once had: personal space. Perhaps this housemate can’t be alone or needs to someone to talk to. However, they fail to understand that respecting other people’s privacy is important. Pro Tip: This is a no brainer, but make it a habit to lock your room door. It also helps to be direct with this housemate and explain to them that you don’t like to be disturbed while sleeping/studying/talking to your mum. The last time you saw this roommate was probably when you both agreed to live together. Let us explain — “the ghost” is the roommate you rarely see around the house. You know they live there — you can hear them using the bathroom, or you may catch their shadow as they leave the house, but you both hardly talk. This may be due to their nocturnal ways, or their shy, introverted personality which makes them elusive. This housemate is probably the most bearable of the list, mainly because they don’t get in the way of things. However, it’s never easy to live with a stranger. So, how do you get to know someone you can’t catch? Pro Tip: Make the first step by knocking on their door. Talk about something you both can relate to, such as exams, to get the conversation going. If that fails, there’s always food to bond over.Leaving some for them on the kitchen counter with a note. Just be careful the nom-nom thief doesn’t get to it first. If you think you have an active social life, think again. The socialite housemate will make you feel like you’re an antisocial senior citizen. How so? This housemate transforms your house into a den of activity through the guests who flood into your home on a daily basis. If it’s a big group, they’ll either hog the living room or kitchen; but if it’s a smaller group, they’ll likely be making noise from their room. Telling them to keep it down because you’re trying to study or sleep will make you seem like a cranky senior citizen who has no sense of fun. While there’s nothing wrong with having guests around, it can get on your nerves if you’re constantly coming home to find it filled with noisy strangers. Pro Tip: Be direct and talk it out. Set some house rules that you and your housemate can agree on. For example, it’s OK to have guests over, but no loud noises after 11 pm. Better have this talk with them when they’re alone and not in front of their friends as it can be embarrassing for your housemate. At the end of the day, living with housemates isn’t always easy. Despite the solutions highlighted above, here is one that hasn’t been highlighted yet: learn acceptance. On the flip side, living with these quirky and difficult characters can teach you patience, the value of compromise and how to cope with difficult situations. This can be beneficial when you enter the working world where you may meet far worse personalities! So keep calm and stay sane. Disarm yourself from inconsiderate housemates with these tips for a more harmonious life. Dealing with different personalities in a group project can be stressful. Find out how you handle difficult team members here. Enjoys hanging out with her dog while watching shows over human interaction.